Where else in the world can you walk a couple of city blocks and peer up at massive monuments within a residential neighborhood? 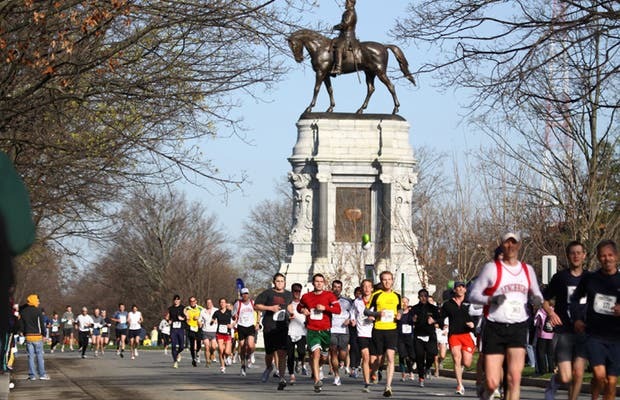 Monument Avenue is a must-see in Richmond for this very reason. Along your walk, the highlights are the statues of Virginian Confederate "heroes" of the Civil War. Regardless on your take of whether or not these people should be memorialized, they are a big part of Virginian history. Look for Robert E. Lee, J.E.B. Stuart, Jefferson Davis, and Thomas "Stonewall" Jackson, among others. Additional sights along your walk will include historic architecture, house gardens, and happy residents.